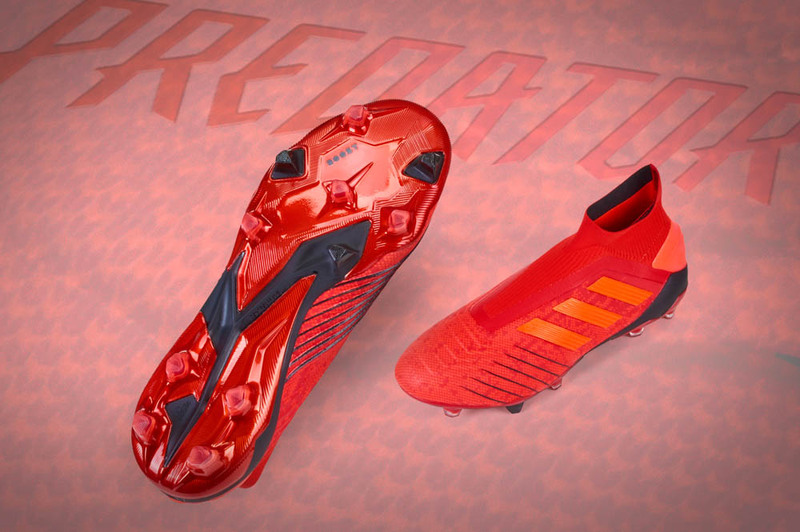 Time to get Medieval on the competition, because adidas has unsheathed their latest collection. It’s called the Black Pack, and each silo has its own Middle Ages-themed design. 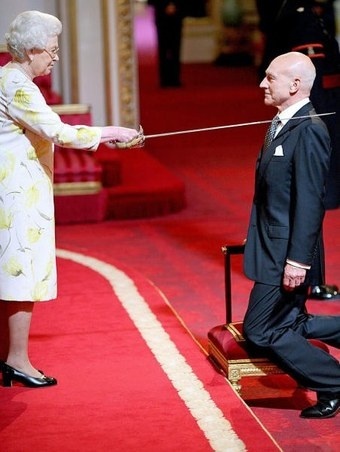 These days, I’m pretty sure knighthood is solely bestowed upon famous actors, but a few hundred years ago, they were the baddest men on the planet. 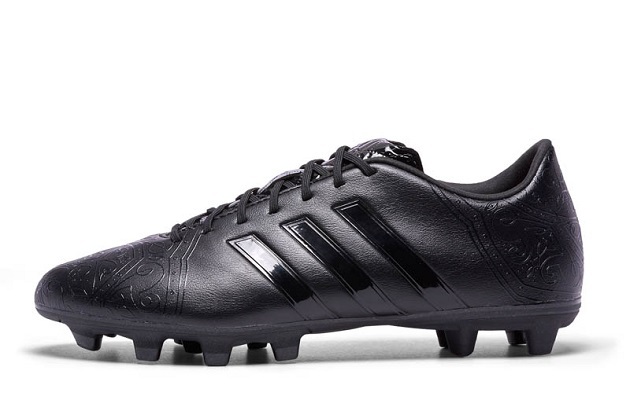 Adidas has decided to outfit all their new boots with a slick blackout knight-inspired upper design. You might have to get close to your screen to see the subtle touches, but they are more than impressive. Let’s examine them one-by-one by injecting a little historical perspective to the proceedings. History time! : You’ve probably seen the Fleur-de-lis before; it’s one of the more ubiquitous symbols in history. It represents a stylized lily or iris flower. 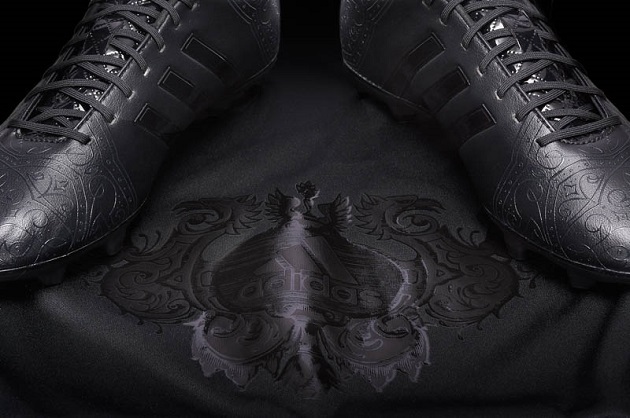 Having been featured on countless badges, coat of arms, and flags (including my hometown of St. Louis, Missouri) for centuries, it brings with it an air of royalty and austere beauty, which has to be why adidas is highlighting it on their new F50 adiZero. 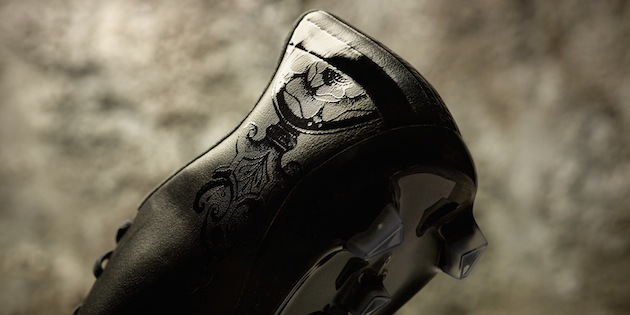 Even though many countries have used the Fleur-de-lis, adidas has said this boot takes on a French theme, since the symbol was used to represent French royalty as far back as the 14th century. You know those coats knights wore over their chainmail? French knights had their family insignia sewn on their surcoats, many times using the Fleur-de-lis. 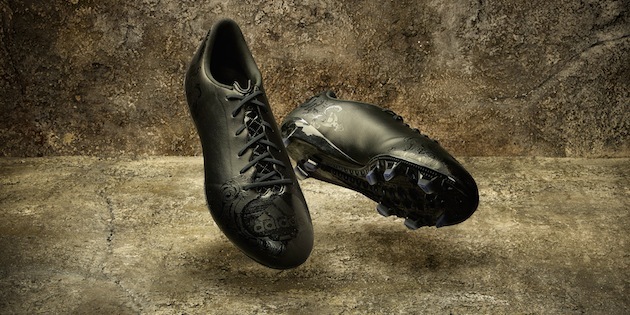 Anyway, this gorgeous blackout F50 weighs in at 194 grams and will be going for $230 retail (or $207 on SoccerPro). 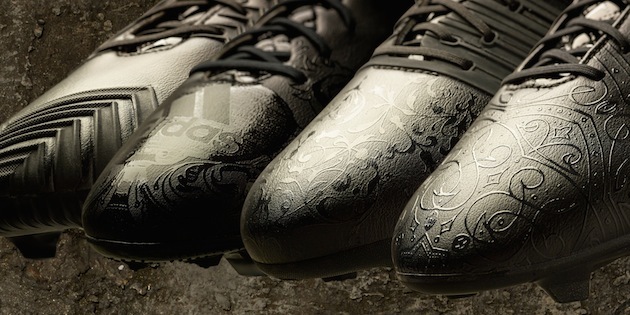 This is the first updated F50 that we haven’t seen the “ghost graphic” on the upper, but it still is identifiably an F50, mostly because of that fantastic outsole. History time! : The Ottoman Empire had their own elite infantry units, called Janissaries. Beginning in the late 14th century, Christian youths were taken from their families, converted to Islam, and taught strict discipline to become soldiers of the Ottoman Empire. A Janissary was basically a paid slave, but they were lethal. Before the advent of firearms, they were skilled archers before later utilizing muskets to carry out their protective duties. Janissaries eventually met a sudden and dramatic end. As militaries began modernizing toward a more Western European-style, the Janissaries became increasingly and desperately violent against their own as their relevance slipped. By 1826, they were no longer the fierce outfit of past centuries and Mahmud II, the Empire’s Sultan, knew something had to be done. Some historians believe he incited a Janissary mutiny and then set fire to their barracks, killing thousands. Survivors were executed or exiled and Mahmud’s successful eradication of the Janissaries became known as the Auspicious Incident. This 11Pro apparently has the feel of Janissary attire, but it’s difficult for me to point out specifically why. We’ll just take their word for it because it looks so wonderfully regal. 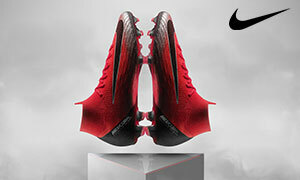 What is clear about this 11Pro is its synthetic construction, as opposed to the Kangaroo leather we have seen since the next-generation 11Pro was released in November of last year. I assume it’s because imprinting those graphics on a leather upper would be quite difficult. It should be interesting to see what folks think of a synthetic 11Pro on the field. 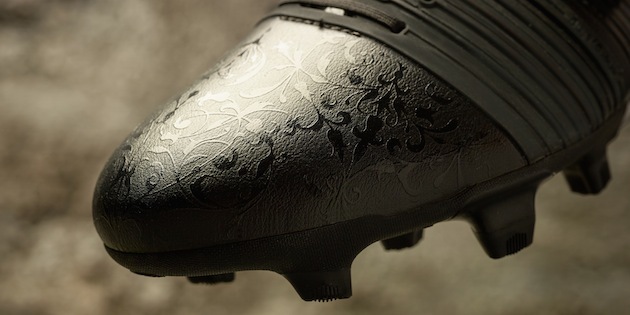 This one comes in at 237g and costs $195 retail ($175 at SoccerPro). 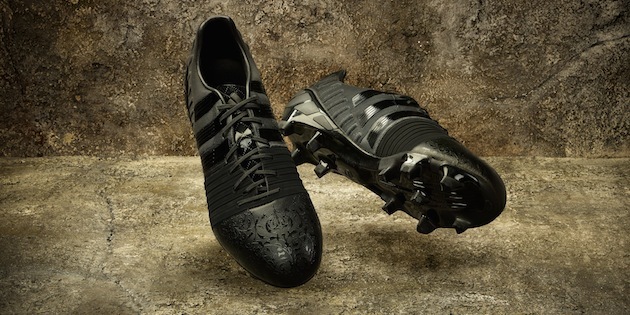 Man, a blackout Nitrocharge just looks right, doesn’t it? This one won’t be getting a historical overview, because there isn’t much to explain. According to adidas, its upper has been adorned with Italian Renaissance features. Since the Renaissance is one of the most discussed epochs in history, I’ll let you do your own research if you aren’t familiar. Sorry. 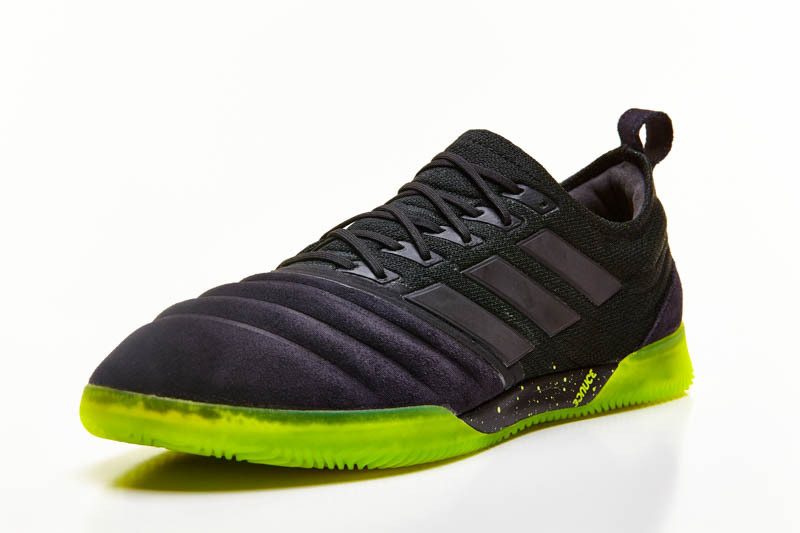 This Nitrocharge weighs 228g on the scale and will force you to fork over $199 retail, which could be worth it because this thing looks magnificent. History time! 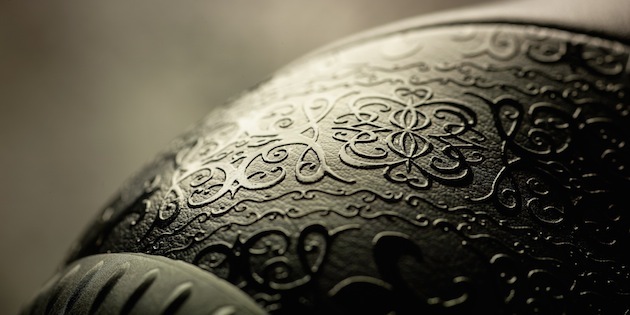 : Showing off the legendary Tudor rose, the Predator Instinct represents British knights of the Middle Ages. The story behind this floral English symbol is fascinating. After Henry VII, of the House of Lancaster, defeated Richard III, from the House of York, he married Elizabeth of York and merged the Houses’ rose symbols: red for Lancaster, white for York. This became known as the War of the Roses. The problem is that this was most likely all just a marketing ploy by King Henry VII. According to historian Thomas Penn, Henry rebranded the kingdom under the Tudor rose even though his House never regularly used the red rose as its symbol. It’s probable that nobody at the time thought of it as the War of the Roses at all. Related: History is written by the winners (Predators). At 273g, the Predator is the heaviest of the four. 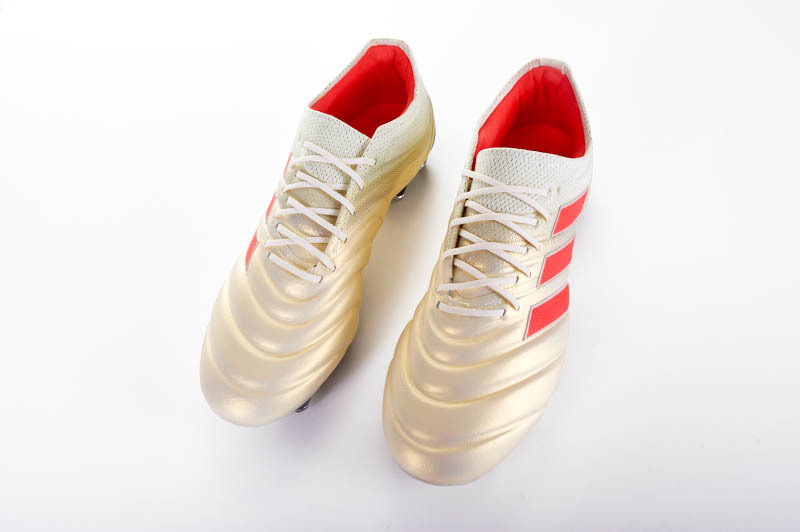 Its $230 retail price (one last time: it’s less at SoccerPro) aligns it with the F50 price-wise. 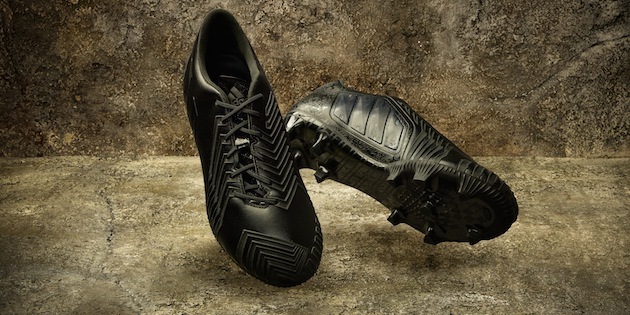 my name’s illiad and I was wondering if there is a place where I could find 11pro black 10.5 cleats. I went to soccerpro but they’re all sold out. I have a pair but they’re falling apart and I really want a new one.